Affardable web design and print graphics without the big agency prices is what we do! Since 1998, Chameleon Graphix has been an award winning web design company catering to small businesses in Cleveland, Ohio. We offer stunning graphic design and web development at affordable prices that your small business can afford! Give us a call and let us know your budget situation and we will put together a website package that is affordable. Chameleon Graphix offers everything a small business owner will need to maintain a professional online presence. As a local company since 1998, we understand that price is always a concern. We are not as cheap as India, but we are home grown and have to pay bills just like you. That said, most of our clients’ websites are paid for after the first 2-3 clients are acquired from their website. The websites we create pretty much pay for themselves in a short period of time. On-page search engine optimization so your site will rank high on Google, Yahoo, Bing, etc. Social media pages like Facebook, Yelp, Instagram, etc. Logo design – Your logo is the most important component of your brand! Premium business cards – Quality of design is important too! 72 percent say they judge a company or person by the quality of their business card. Our business cards go above and beyond with foil stamping, embossing, custom die-cuts, textures/matierials, colored sides and more. We get you noticed! As you can see, Chameleon Graphix offers everything you need to achieve your business goals. If you’re looking for a company to take care of all your website needs & more, give us a call! 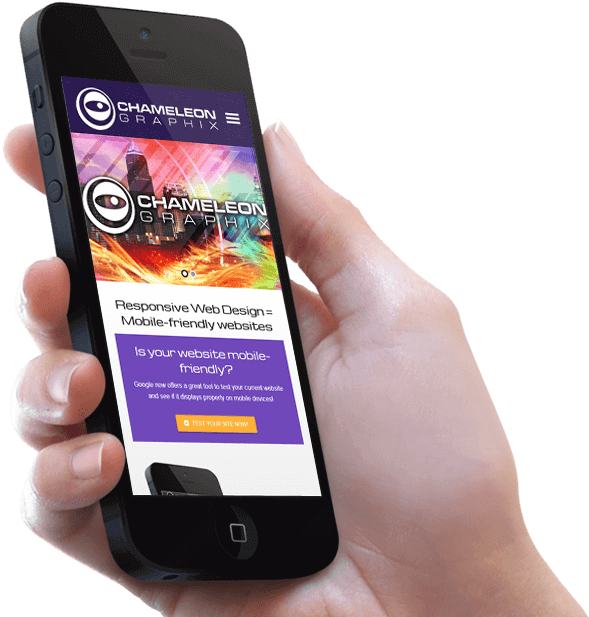 Chameleon Graphix is a responsive web design company dedicated to creating sites for the future of your business. Google wants to make it easier for people using mobile devices. If your site isn’t fully optimized for mobile devices, you will likely see a drop in your ranking on mobile searches. With our responsive design, your website’s content and layout automatically conform to the display screen size on which it is viewed eliminating the need for a separate mobile version of your site. Image is everything and we focus on creative web design that will set you apart from your competition. Our award winning designers will create your dream website. We use the latest technology to develop stunning websites that are accessible on any device with all the bells and whistles. Our responsive websites re-size to fit on smartphones, tablets, laptops and desktop computers. 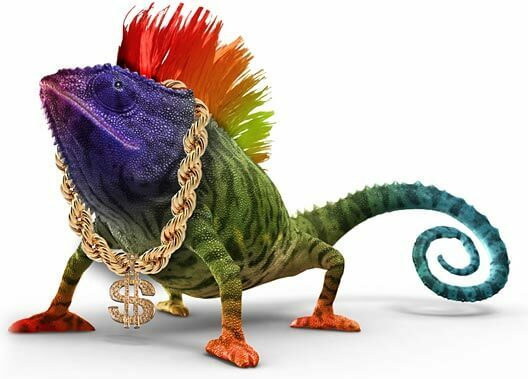 At Chameleon Graphix, we pride ourselves in the ability to offer our clients affordable website design for much less than the big agencies. We’ll do our best to put together a website that fits within your budget. We have several options to choose from. We understand that time is a factor so we strive to provide a quick turn-around time. We can have your new website up and running in as little as two weeks if we are provided with all necessary content! Does your company’s current website look like it was built in the 1990’s? Then a website makeover is what you need! If your website looks like its from a different era…it’s probably time to upgrade. We can give your company the much needed improvement it deserves by redesigning your current website on the newest platform and make your competition drool! Google now offers a great tool to test your current website and see if it displays properly on mobile devices! © Copyright 2017 Chameleon Graphix. All rights reserved.